SCANDAL Conclude “47 Prefecture Tour” and Announce New October Tour! 4-member Japanese rock band SCANDAL completed their ’47 Prefecture Tour’ with their final show at Toyosu PIT in Tokyo on July 17th. The huge tour began earlier this year in March and lasted almost 4 months as the girls took their music around the entirety of Japan. The tour was held in line with the release of their 10-year anniversary greatest hits album “SCANDAL” which hit shelves back in February. This meant that the band could put on a show consisting of songs both old and new, freely moving up and down the long list of songs in their discography. There were 53 concerts in total, each of which featured different set lists, allowing them to make each and every show a special one for fans in all regions. As the members stepped out onto the stage for the final concert of the tour at Toyosu PIT, screams echoed throughout the room from the crowd as their excitement shot to 100 in an instant. SCANDAL begin their set with “SCANDAL BABY” which was voted as their number one song in a fan poll. 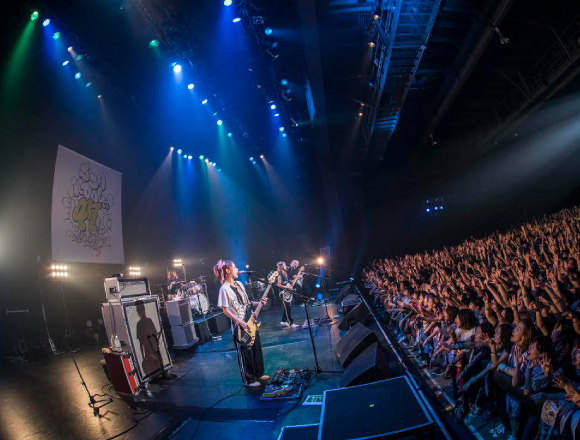 They followed it up with numerous singles including “Shunkan Sentimental”, “Shoujo S”, “DOLL” and more, as well as new songs such as “FREEDOM FIGHTERS” and “HELLO” from their greatest hits album. 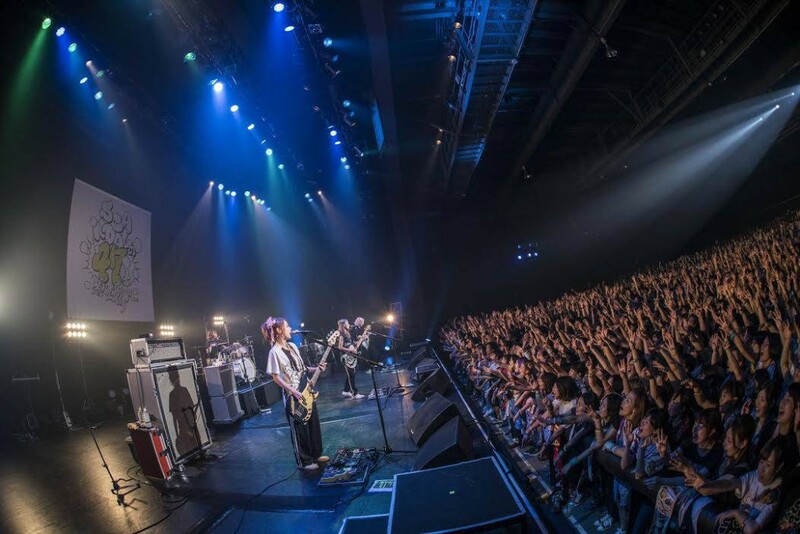 At the highest point in their career, vocalist and guitarist Haruna commented during show, “I am so happy that so many people around the country were able to come and see us live at this 47-prefecture tour. It was a long tour, and there were times when were pretty tired, but the time spent meeting everyone like this has been the absolute best thing. I love this moment, and so I want to continue being a band. Although the tour ends after today, our journey will continue. I don’t know what will happen in the future, but I want to go to as many places a possible. So please stay with us along the way”. Upon saying that, a round of applause and a gracious cheer ensued from the crowd. 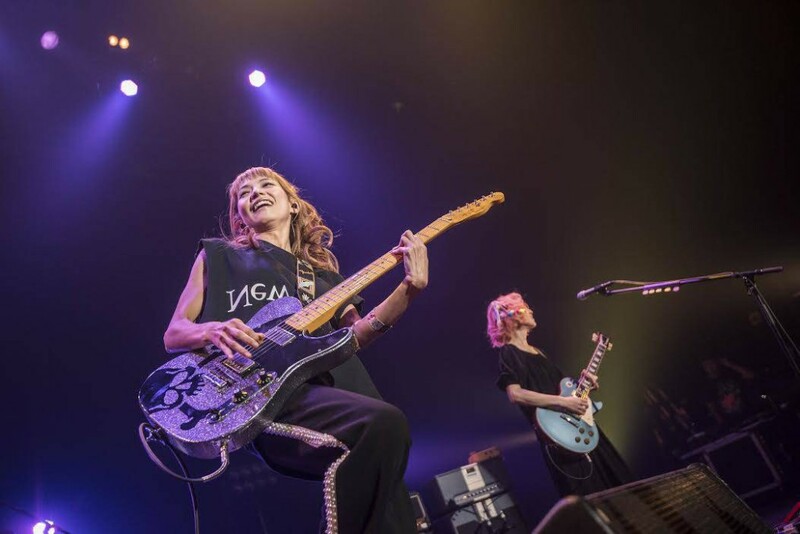 SCANDAL announced at the show that they will be heading on their first ever tai-ban tour in October which elicited another cheer from the crowd. A tai-ban is a type of concert where several artists are on the timetable and where sets are generally shorter than at a solo concert. The band revealed that they will be performing in Tokyo, Nagoya, and Osaka, where they will be joined by UNISON SQUARE GARDEN, 04 Limited Sazabys, and BLUE ENCOUNT respectively. Regarding their first tai-ban tour, the members gave enthusiastic comments, stating “We have done so many solo concerts up to now, and that’s why we want to show our strong relationship with everyone to fans of other bands too. We also want everyone to visit other bands’ concerts as well”. SCANDAL will also be appearing at plenty of rock festivals and events this summer. They have become an even stronger band since finishing up their 47-prefecture tour. We can look forward to seeing them at new shows and anticipating what they have in store next. Related article：Ground Y to celebrate opening at Laforet Harajuku with LESLIE KEE live photo shoot and much more!